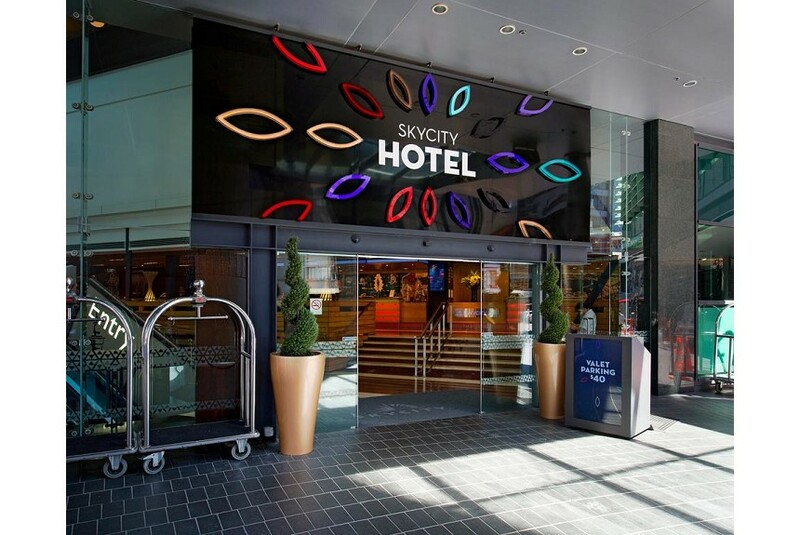 Located in the heart of Auckland CBD (Central Business District), next to the iconic Sky Tower and SKYCITY Casino, SKYCITY Hotel Auckland offers beautifully appointed rooms and suites with free WiFi, a 37-inch flat-screen TV and an iPod docking station. The 24-hour SKYCITY Casino features live entertainment, a theatre and a choice of more than 20 restaurants, cafes and bars. The Sky Tower, rising 328 m above sea-level, offers breathtaking 360 degree views from 3 observation levels. Union Pay is accepted here. Each air-conditioned room includes a private bathroom, minibar, satellite TV, including CCTV channels, and 24-hour room service. All rooms have a view of the courtyard, city skyline or Auckland Harbour. Complimentary slippers and bathrobes are available. Dental kits can be provided for an additional charge.